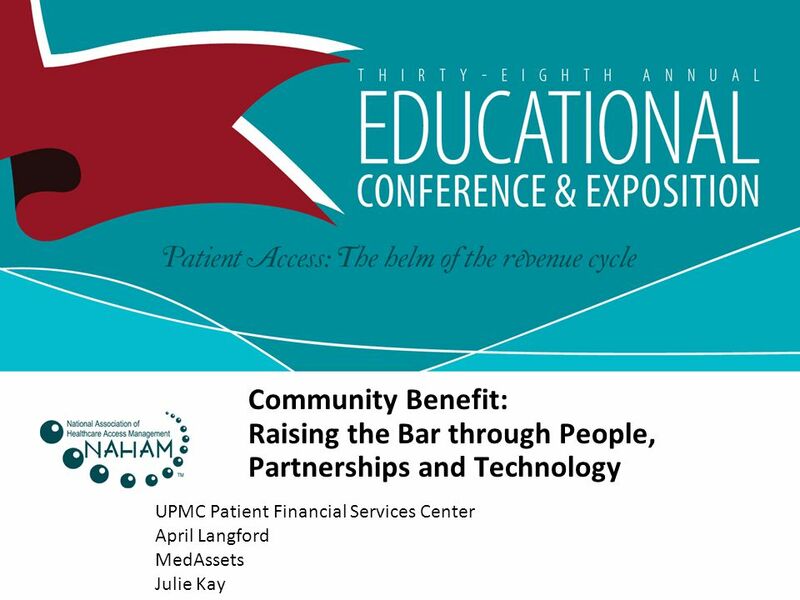 Community Benefit: Raising the Bar through People, Partnerships and Technology UPMC Patient Financial Services Center April Langford MedAssets Julie Kay. 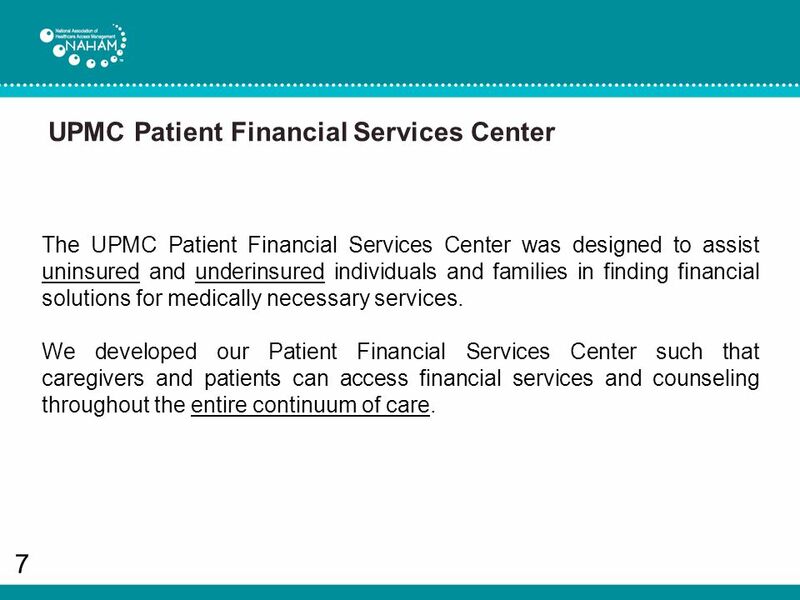 7 UPMC Patient Financial Services Center 7 The UPMC Patient Financial Services Center was designed to assist uninsured and underinsured individuals and families in finding financial solutions for medically necessary services. 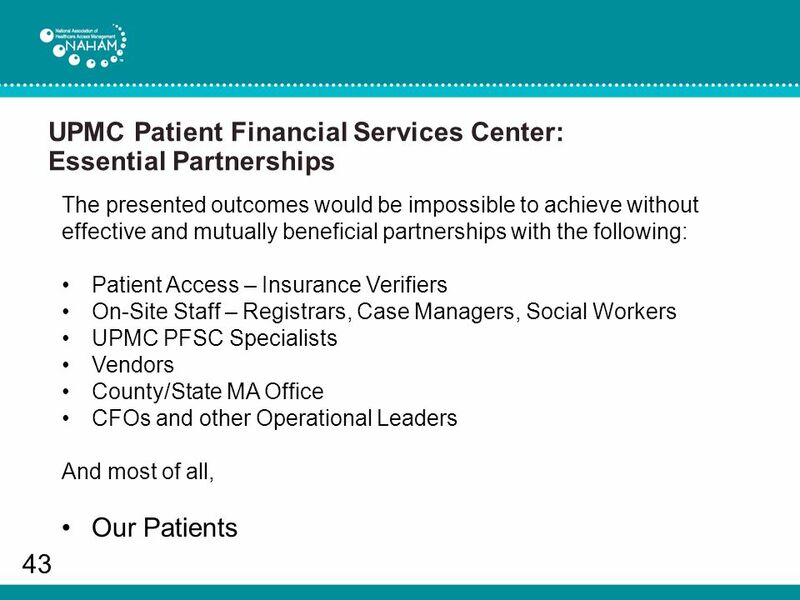 We developed our Patient Financial Services Center such that caregivers and patients can access financial services and counseling throughout the entire continuum of care. 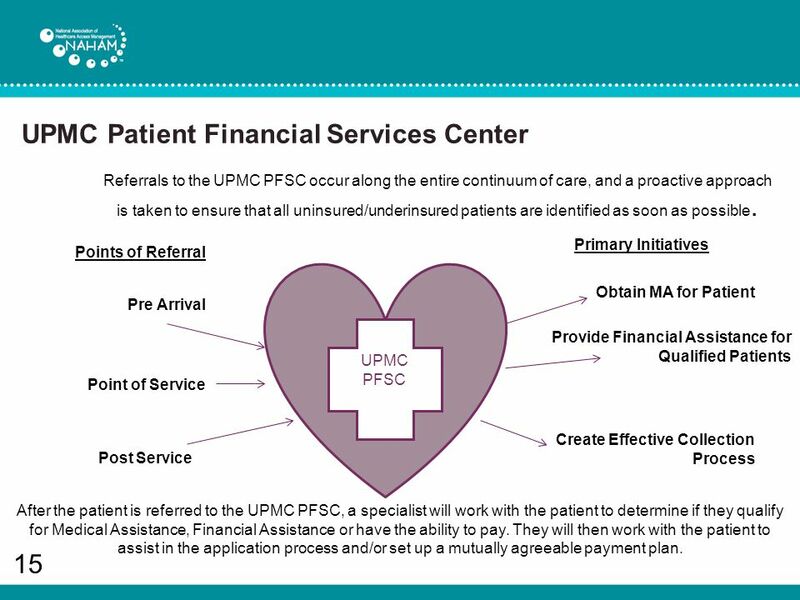 15 UPMC Patient Financial Services Center 15 Points of Referral Obtain MA for Patient Provide Financial Assistance for Qualified Patients Pre Arrival Post Service Point of Service UPMC PFSC Primary Initiatives Create Effective Collection Process Referrals to the UPMC PFSC occur along the entire continuum of care, and a proactive approach is taken to ensure that all uninsured/underinsured patients are identified as soon as possible. 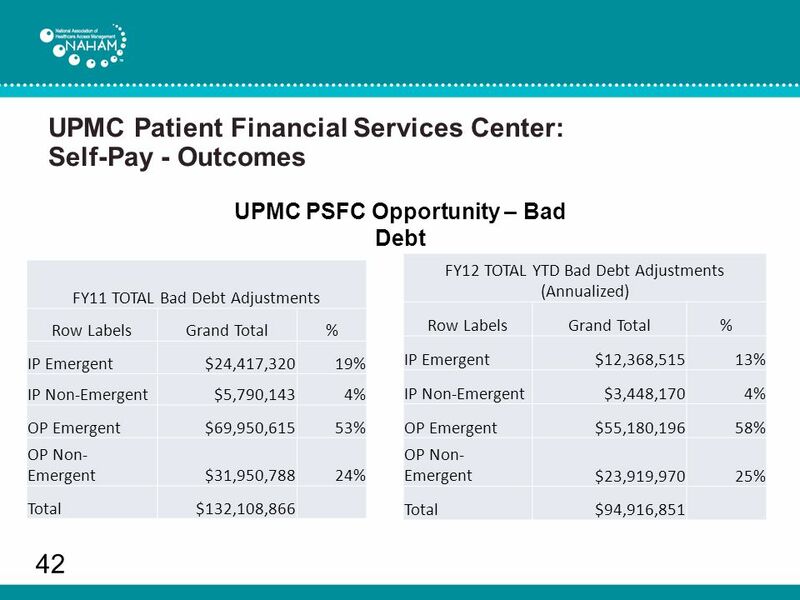 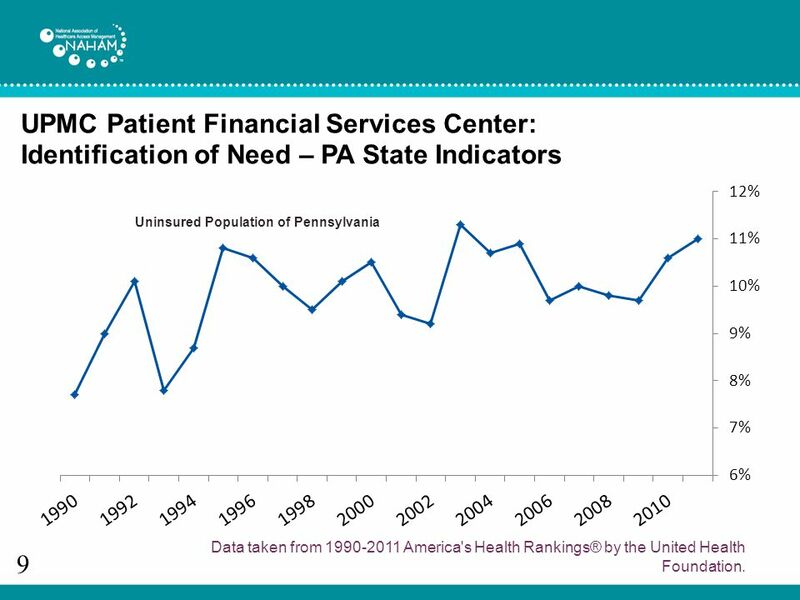 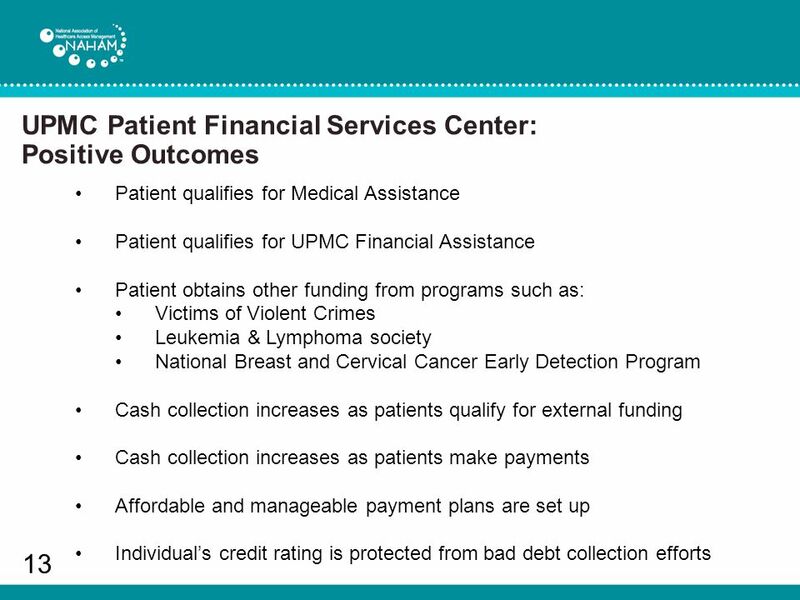 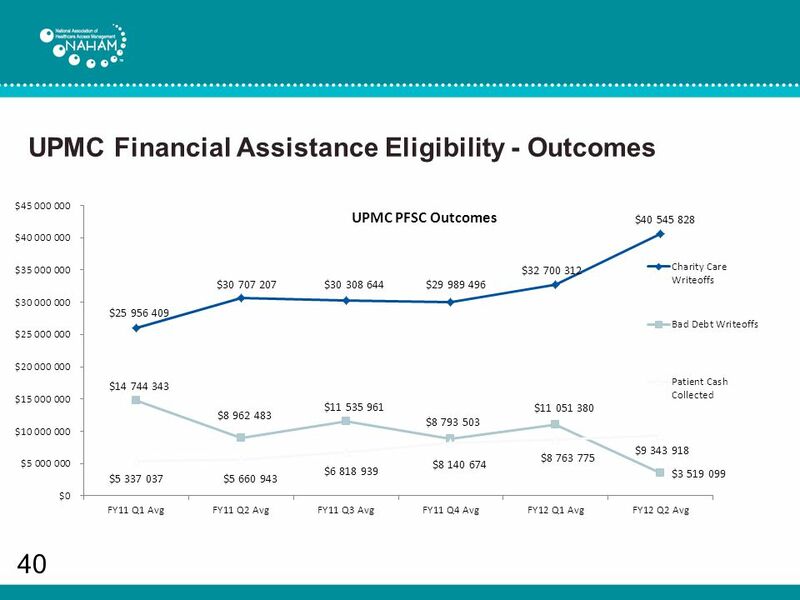 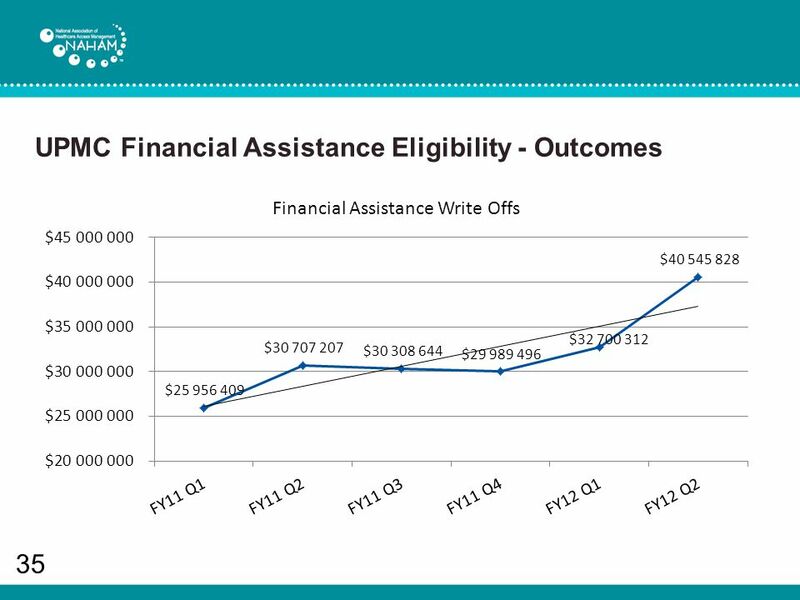 After the patient is referred to the UPMC PFSC, a specialist will work with the patient to determine if they qualify for Medical Assistance, Financial Assistance or have the ability to pay. 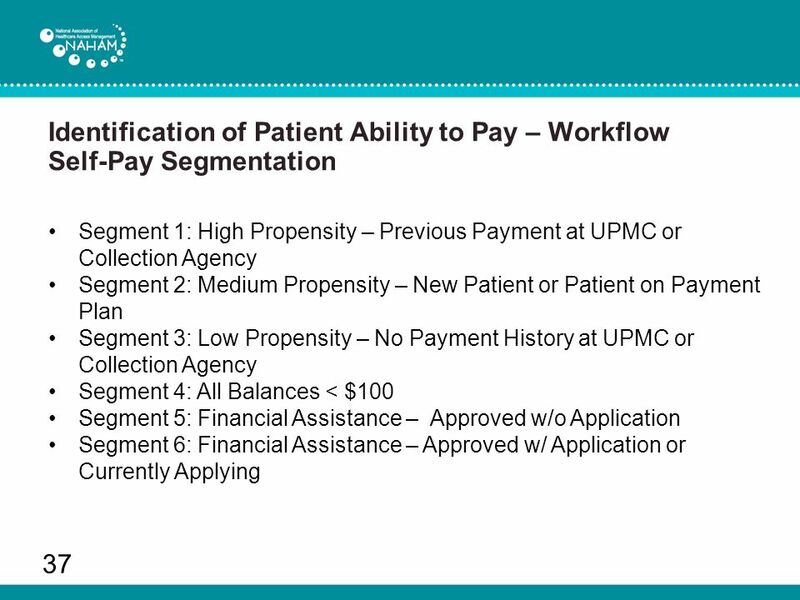 They will then work with the patient to assist in the application process and/or set up a mutually agreeable payment plan. 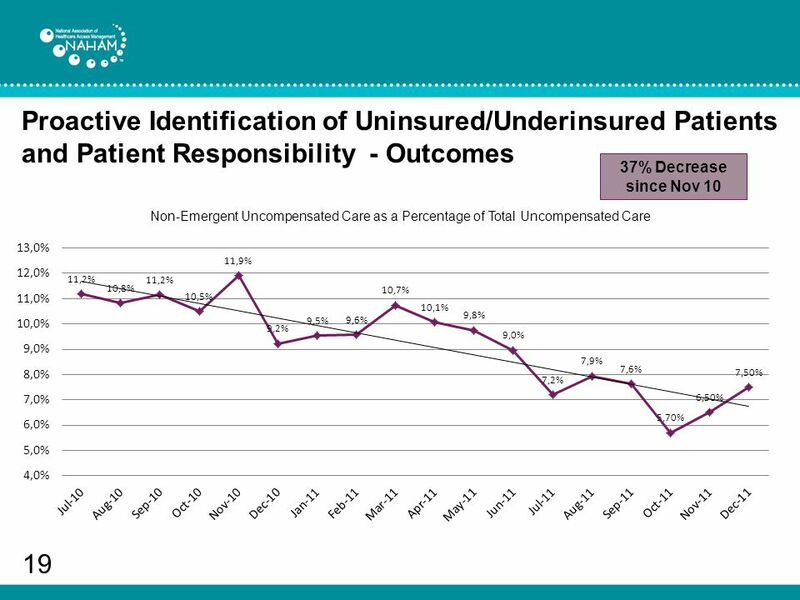 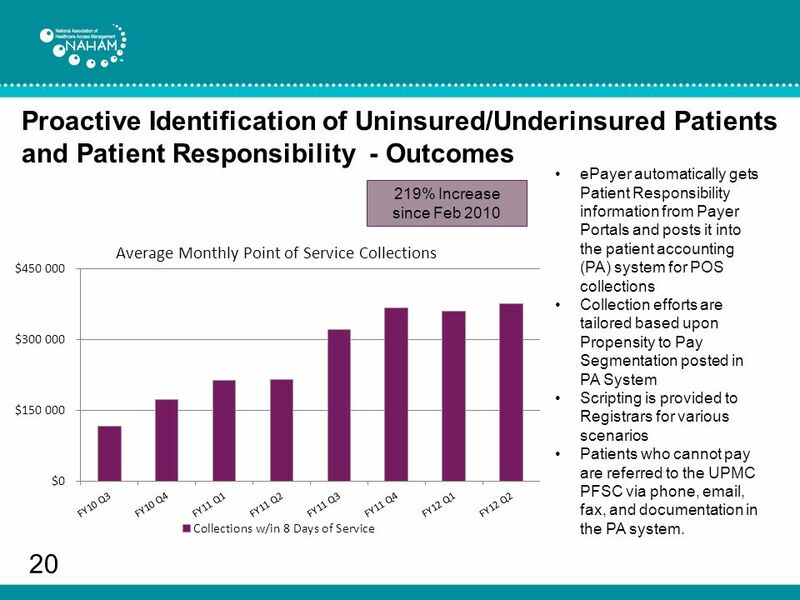 20 20 219% Increase since Feb 2010 Proactive Identification of Uninsured/Underinsured Patients and Patient Responsibility - Outcomes ePayer automatically gets Patient Responsibility information from Payer Portals and posts it into the patient accounting (PA) system for POS collections Collection efforts are tailored based upon Propensity to Pay Segmentation posted in PA System Scripting is provided to Registrars for various scenarios Patients who cannot pay are referred to the UPMC PFSC via phone, email, fax, and documentation in the PA system. 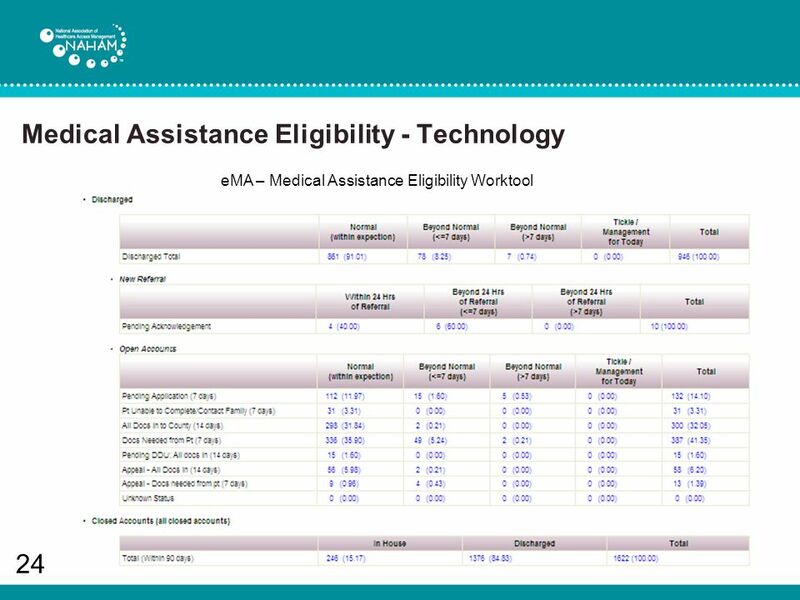 23 Medical Assistance Eligibility - Technology 23 eMA – Medical Assistance Eligibility Worktool eMA actively identifies uninsured/underinsured patients and ensures appropriate follow up during the MA eligibility process. 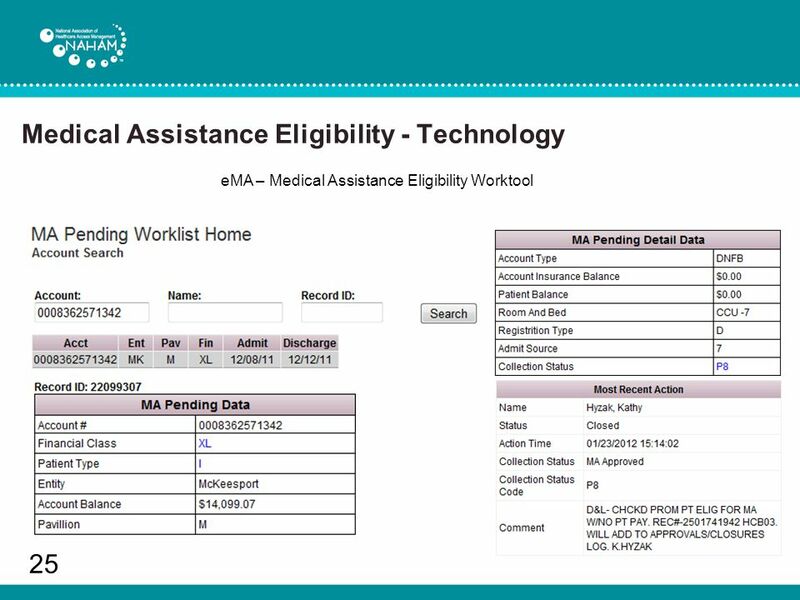 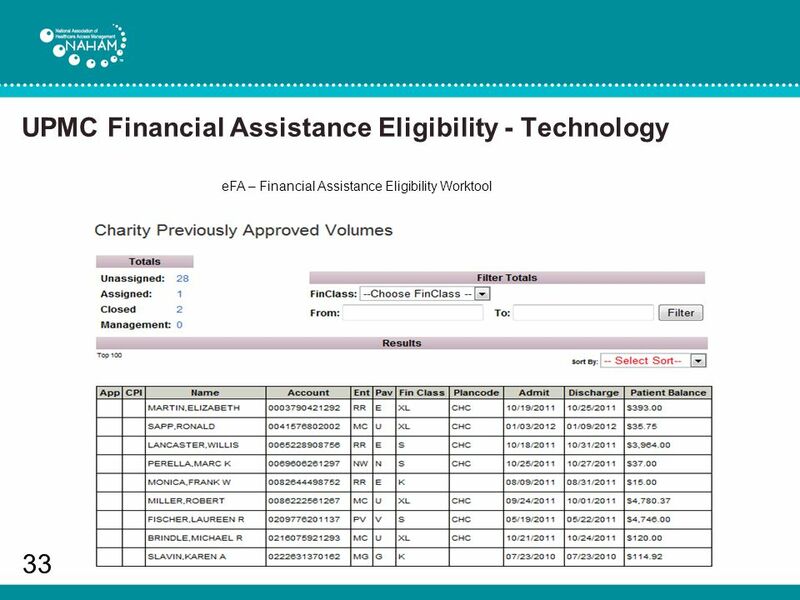 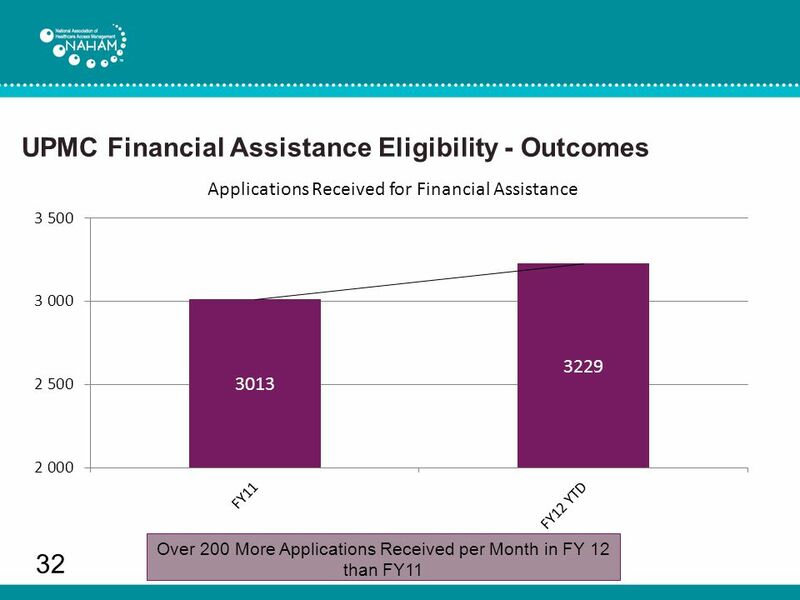 eMA also identifies individuals who have been eligible for medical assistance within the past two years, pregnant women, and children with chronic illnesses and automatically adds them to the worklist for contact and financial counseling. 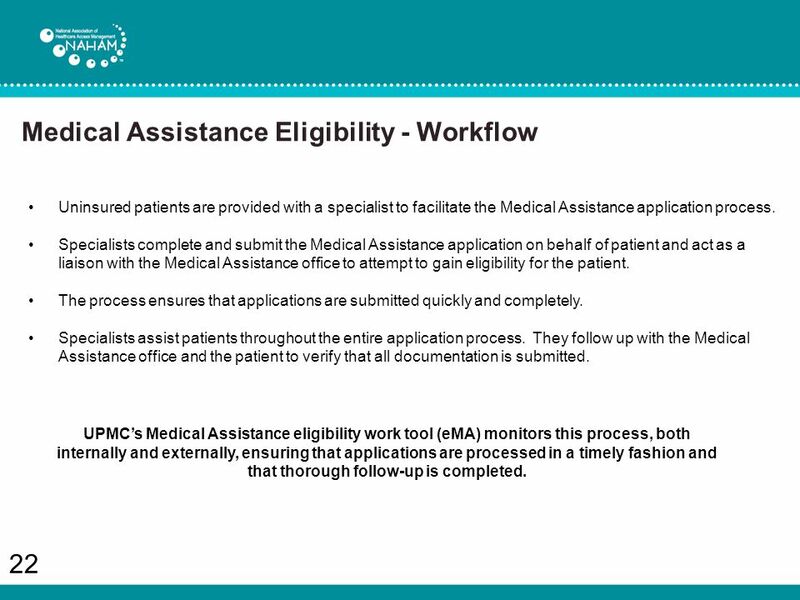 eMA enables Medical Assistance specialists to contact patients prior to or quickly after their service, to increase the likelihood of eligibility. 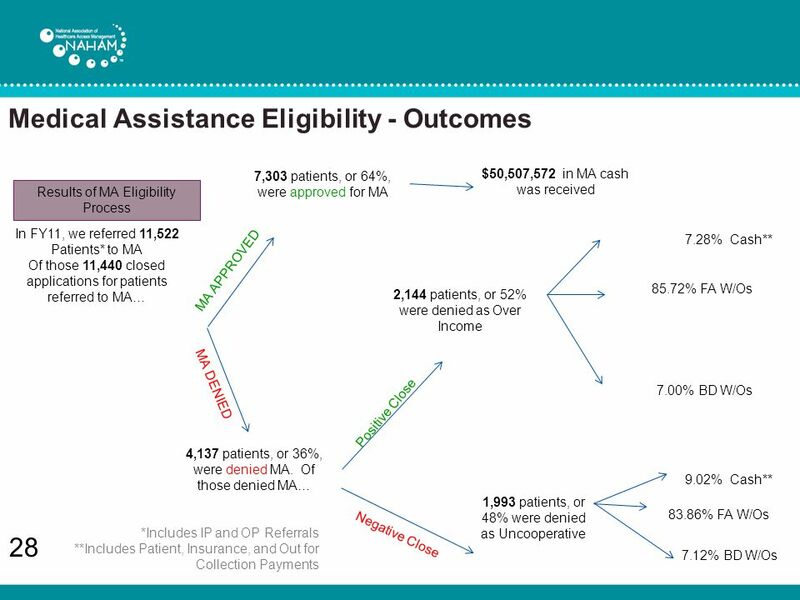 eMA highlights the status of the account in the eligibility process, enabling Medical Assistance specialists to easily track individual accounts and initiate data driven process improvement efforts to expedite eligibility. 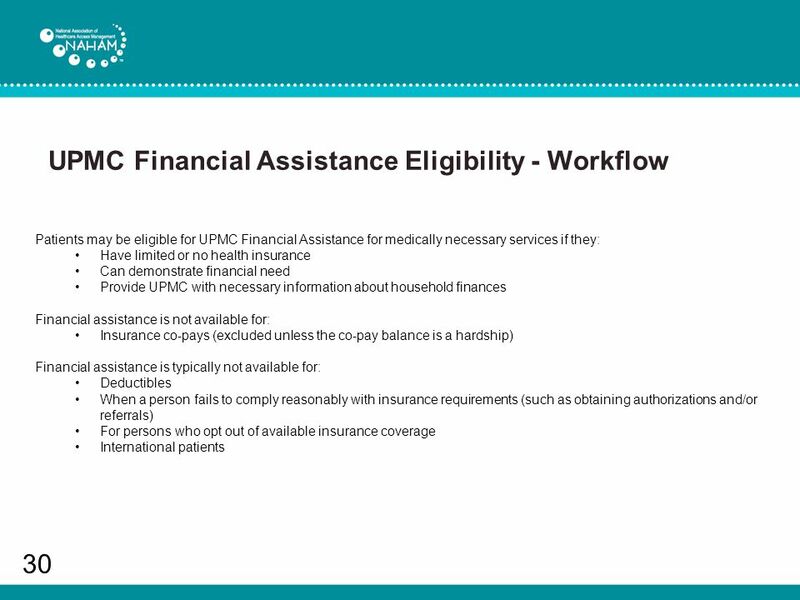 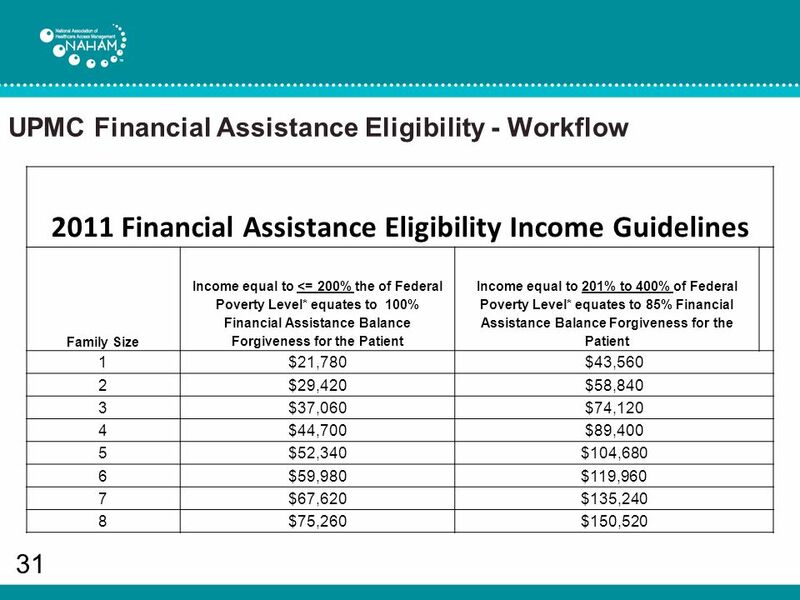 29 UPMC Financial Assistance Eligibility - Workflow 29 As soon as we determine if an uninsured/underinsured patient is not eligible for Medical Assistance, we evaluate the patient for the UPMC Financial Assistance program. 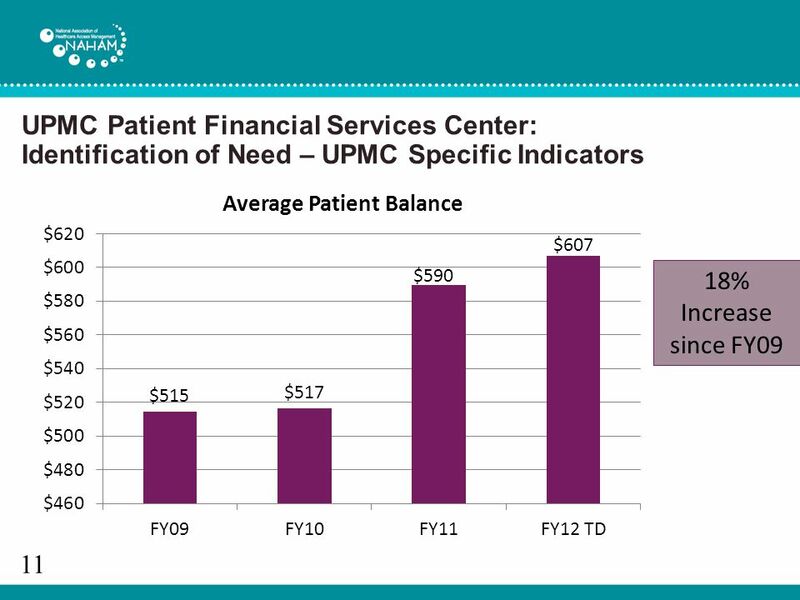 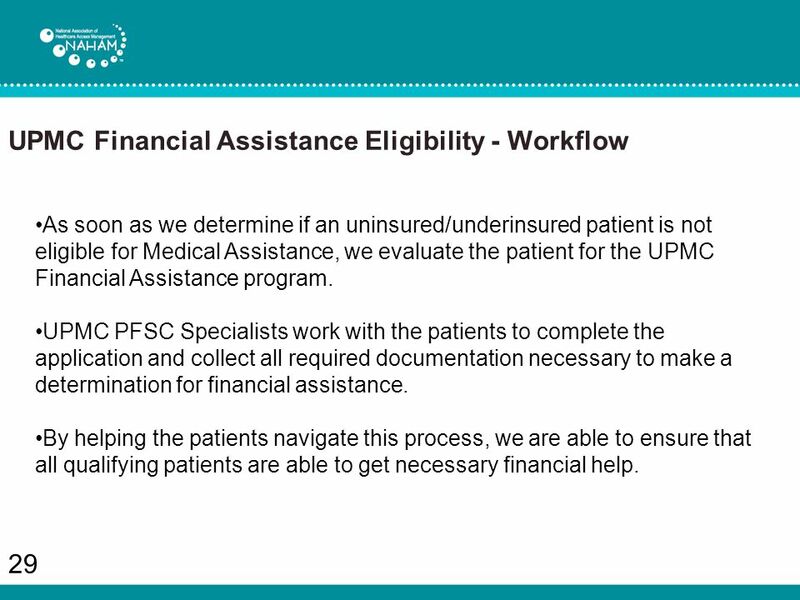 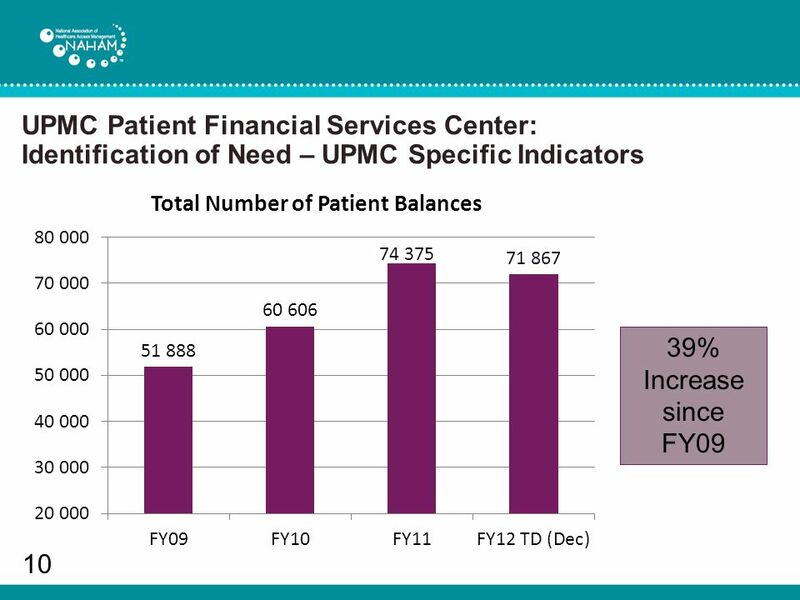 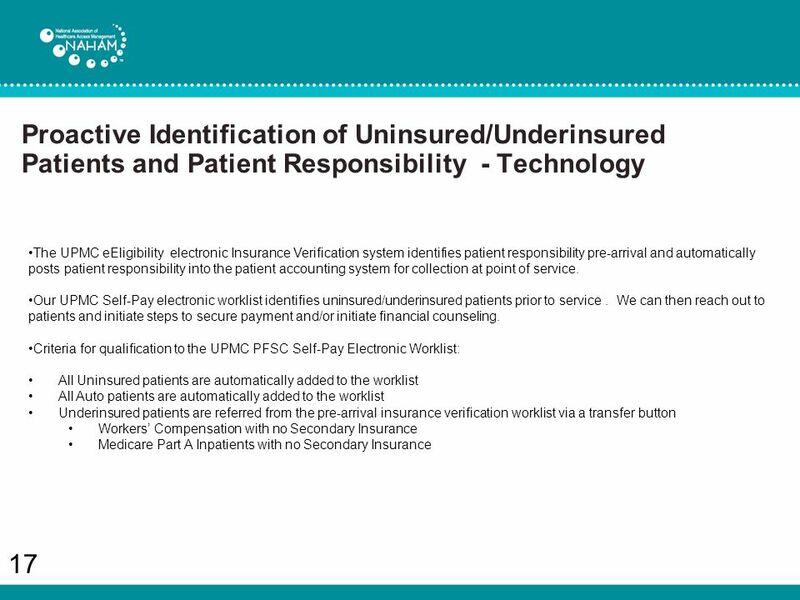 UPMC PFSC Specialists work with the patients to complete the application and collect all required documentation necessary to make a determination for financial assistance. 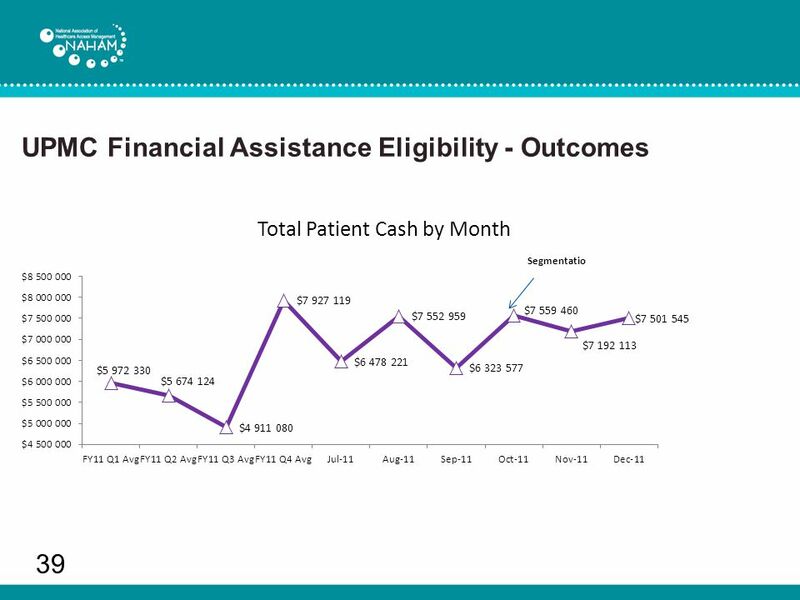 By helping the patients navigate this process, we are able to ensure that all qualifying patients are able to get necessary financial help. 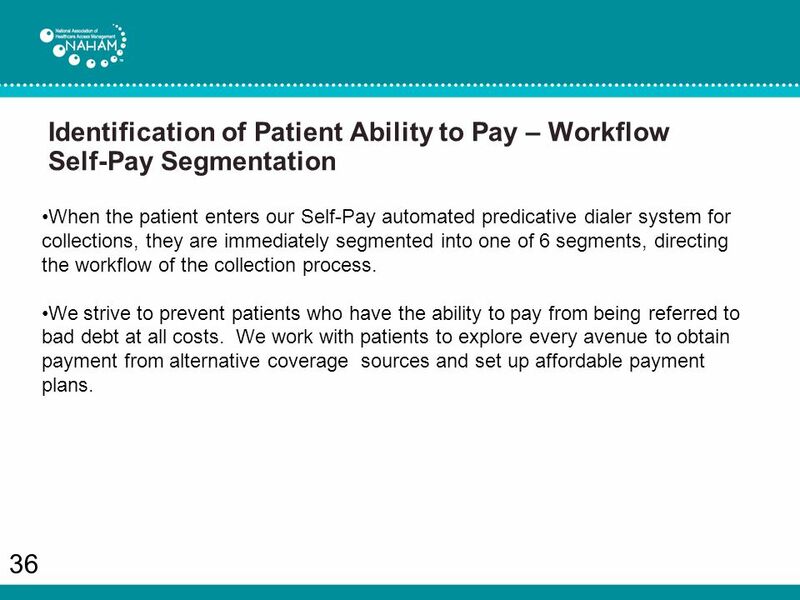 36 Identification of Patient Ability to Pay – Workflow Self-Pay Segmentation 36 When the patient enters our Self-Pay automated predicative dialer system for collections, they are immediately segmented into one of 6 segments, directing the workflow of the collection process. 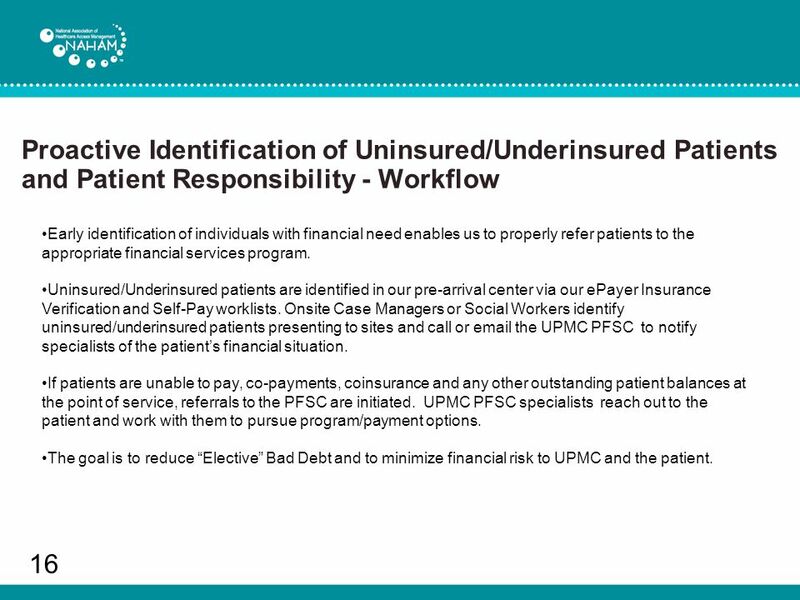 We strive to prevent patients who have the ability to pay from being referred to bad debt at all costs. 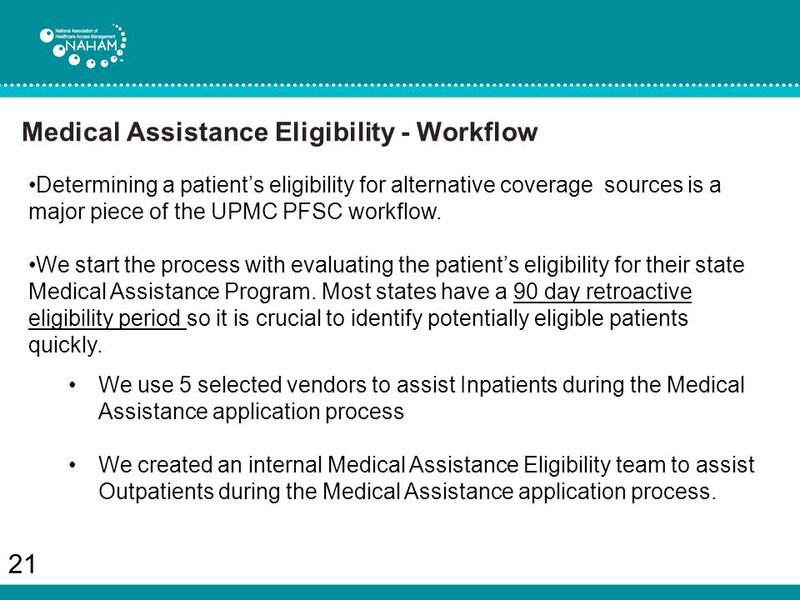 We work with patients to explore every avenue to obtain payment from alternative coverage sources and set up affordable payment plans. 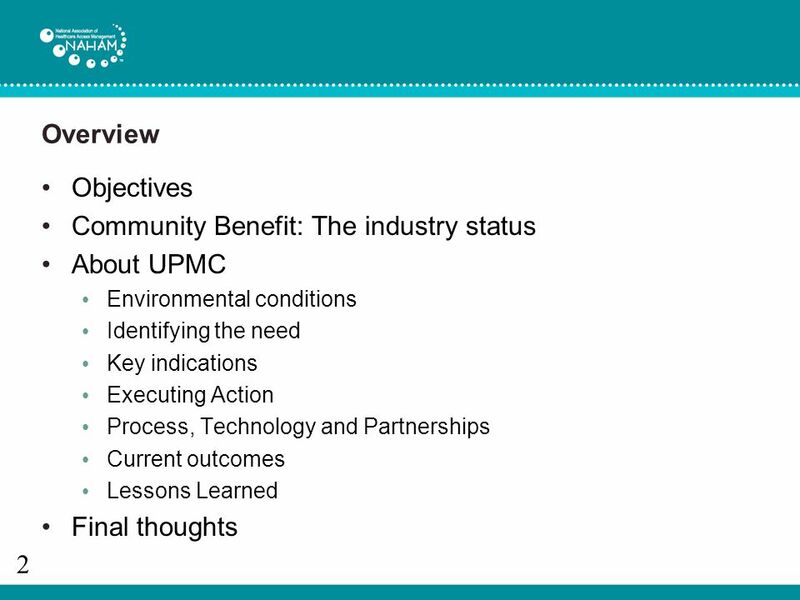 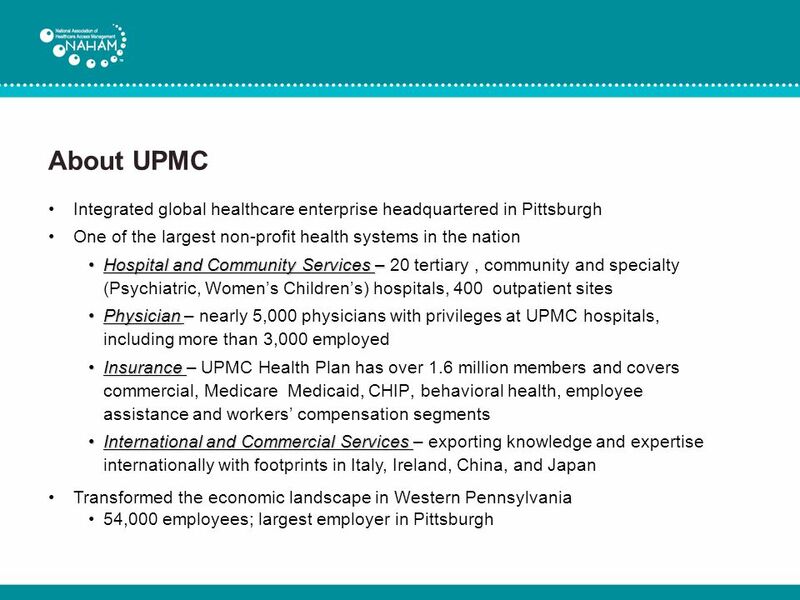 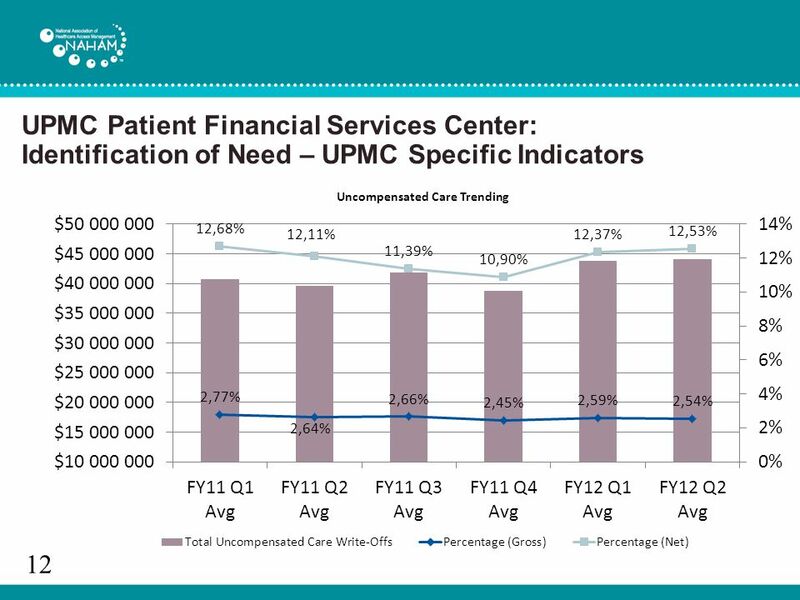 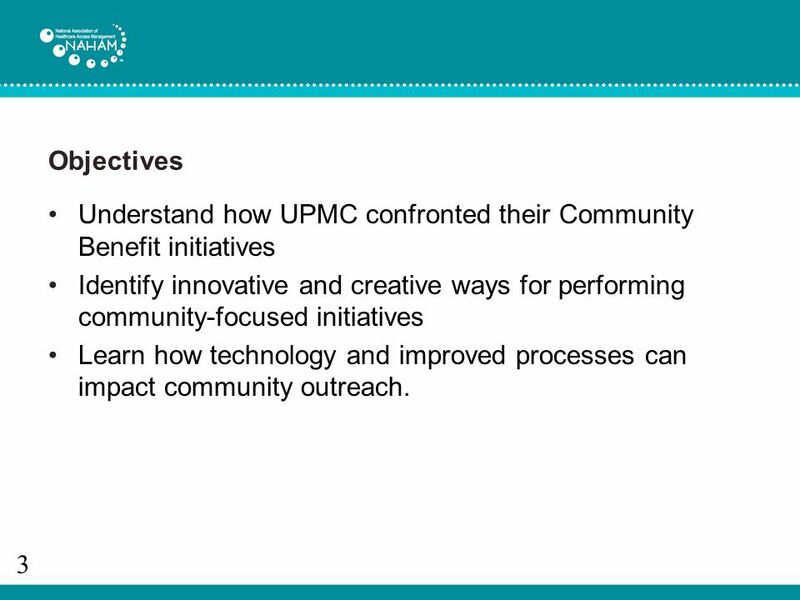 Download ppt "Community Benefit: Raising the Bar through People, Partnerships and Technology UPMC Patient Financial Services Center April Langford MedAssets Julie Kay." 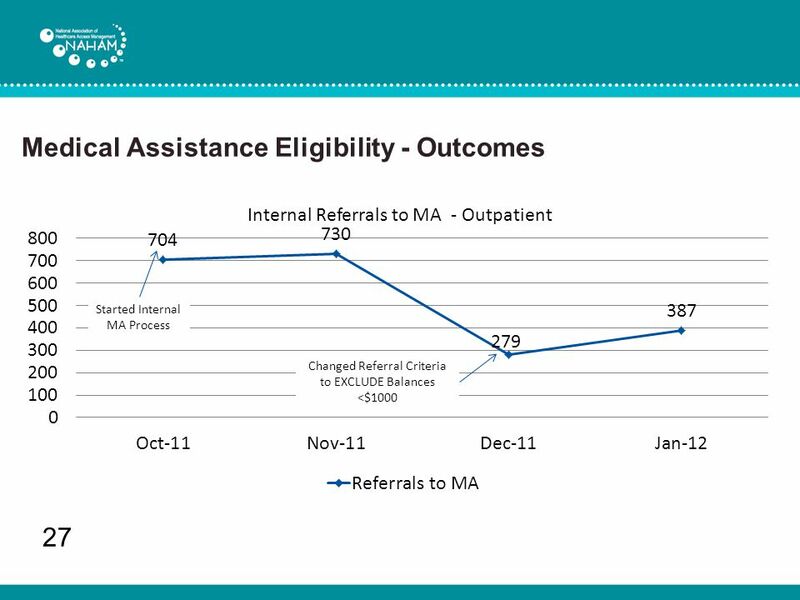 DDRS Health Homes Initiative: Meeting the Triple Aim through Care Coordination. 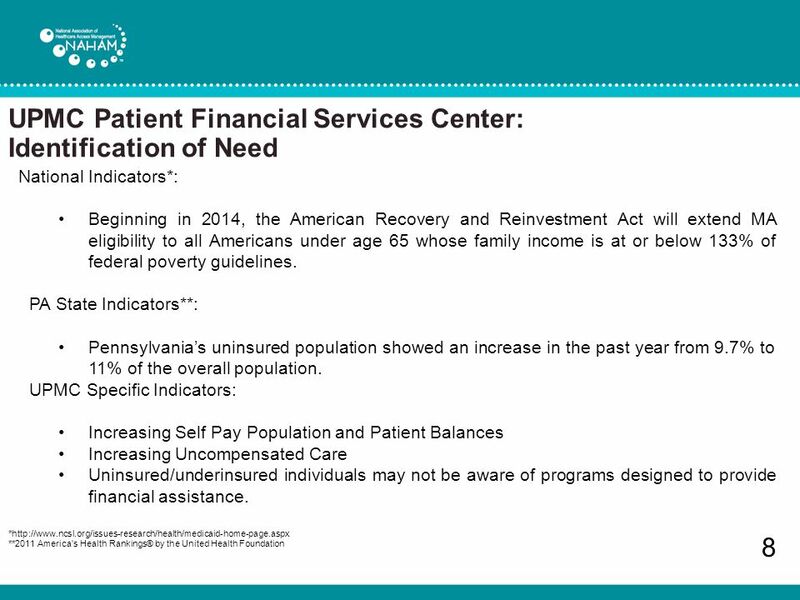 Shane Spotts Director, Indiana Division of Rehabilitation Services May. 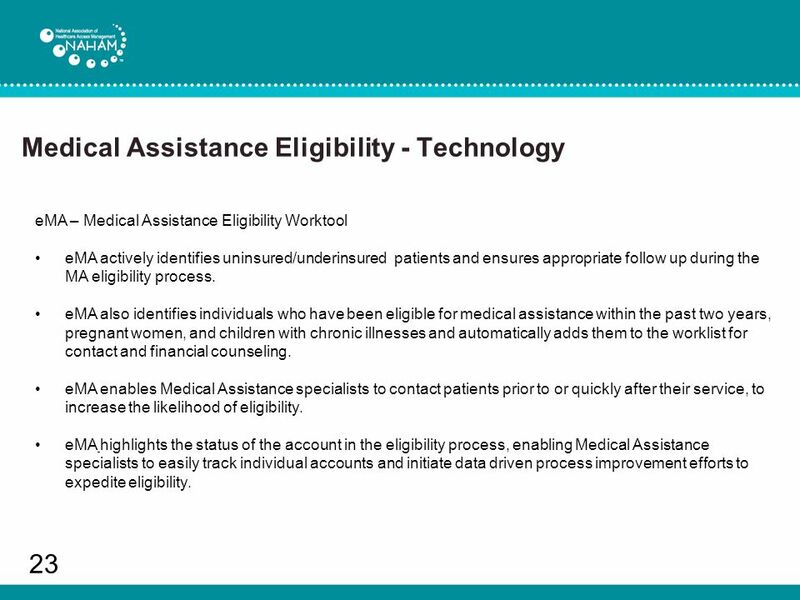 Social and Rehabilitation Services This training will provide a basic understanding of the numerous services available under the SRS umbrella to enhance. 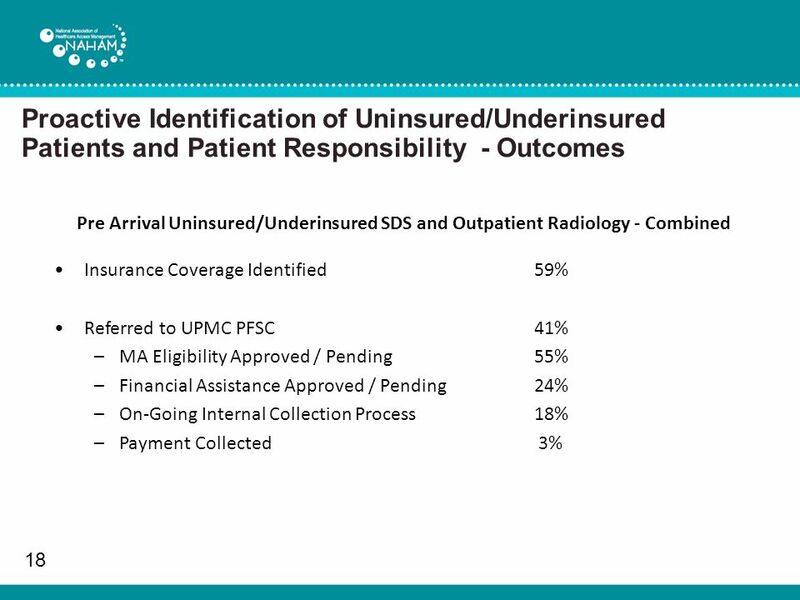 Commonwealth of Massachusetts Executive Office of Health and Human Services Universal Coverage in Massachusetts: Resource Allocation and the Care of Disadvantaged. 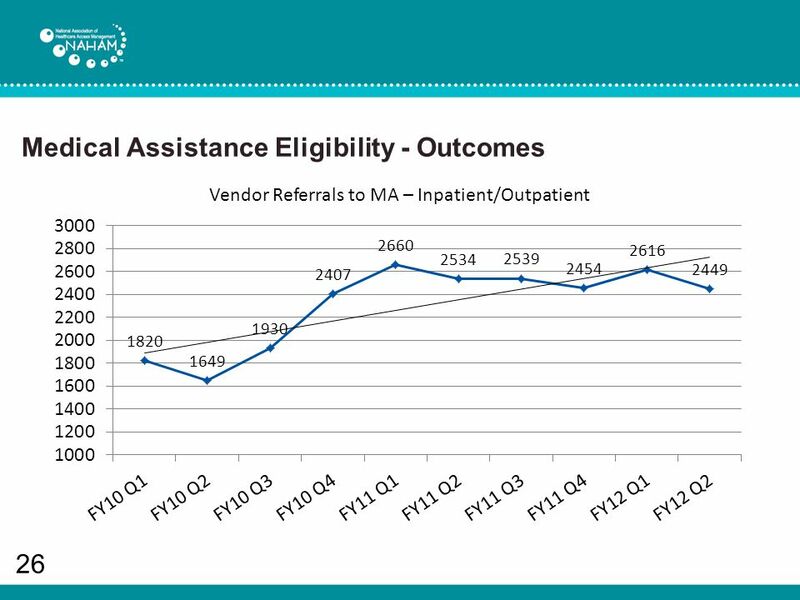 Connecticut Department of Social Services Health Care Contracting Opportunities Charter Oak – HUSKY A – HUSKY B Bidders’ Conference February 22, 2008 M.
Effects on Community Level Organizations and Their Practices WHAT IS THE PATIENT PROTECTION AND AFFORDABLE CARE ACT? 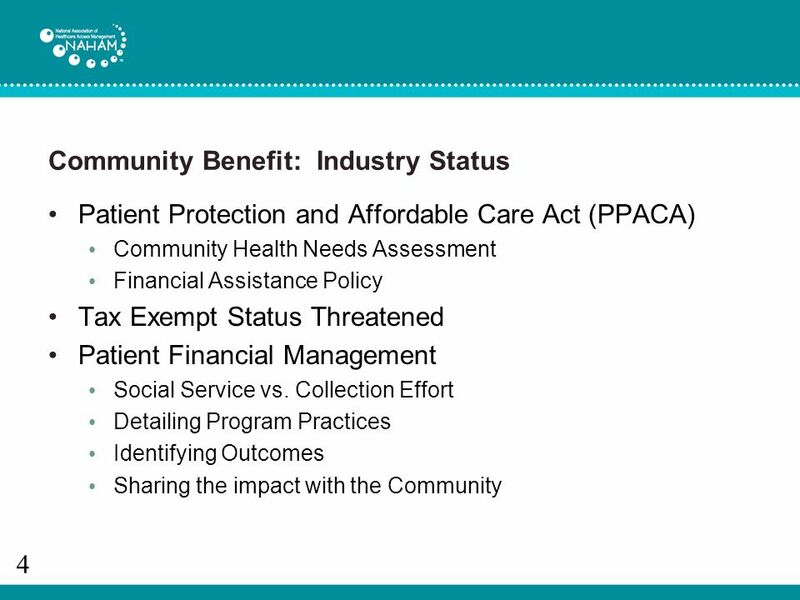 The Michigan Healthcare Marketplace Eileen Ellis Health Management Associates Initial Observations. 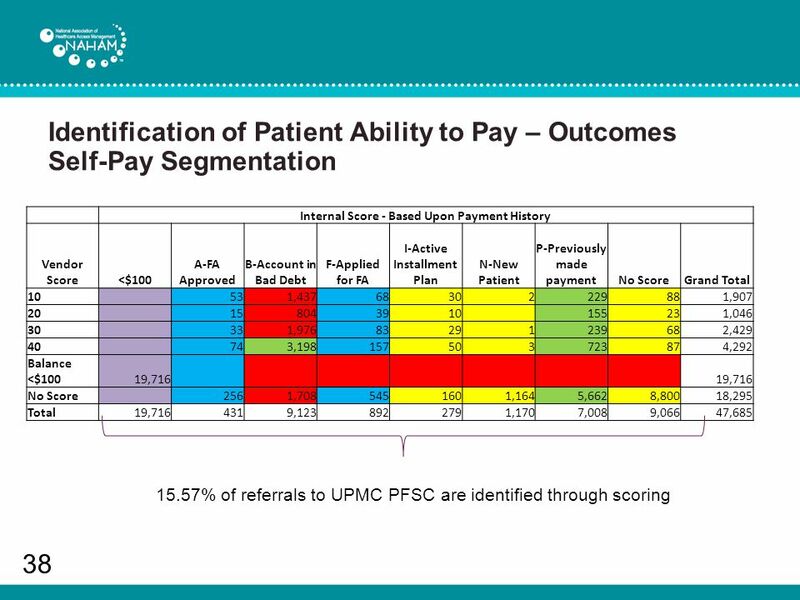 Novant Health: Transforming Revenue Cycle Services in the Ambulatory Setting R. Henry Capps Jr., MD, FAAFP, Senior VP of Physician Services & Medical Group. 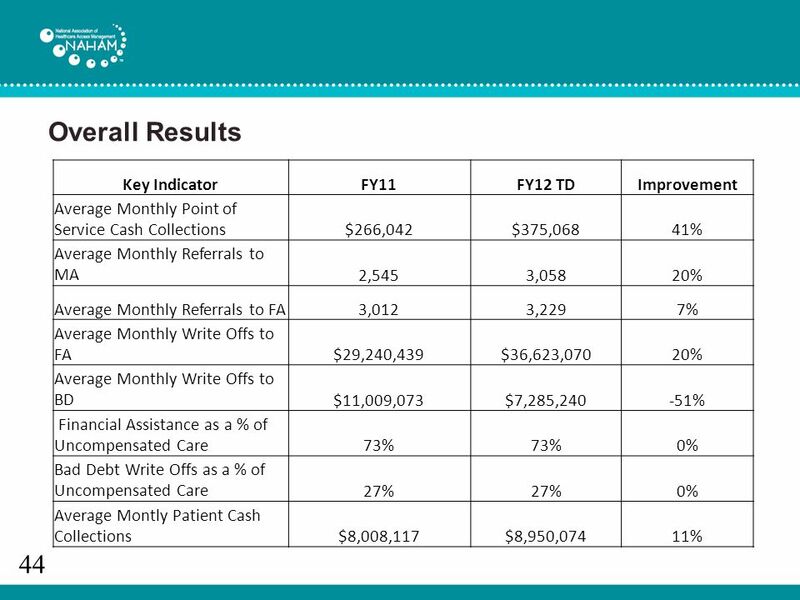 1 Medicaid Expansion Estimates Demographics and Cost April 24, 2013. 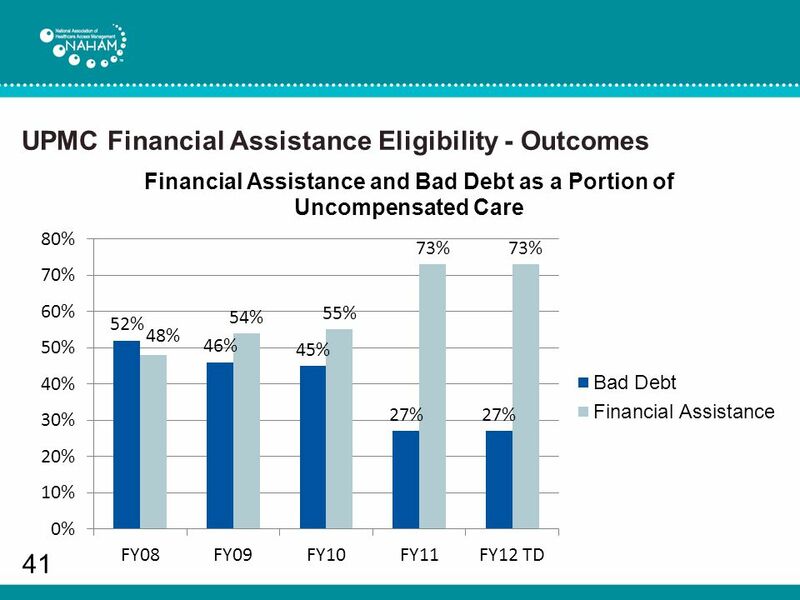 National Alliance on Mental Illness or Utah’s voice on mental illness. 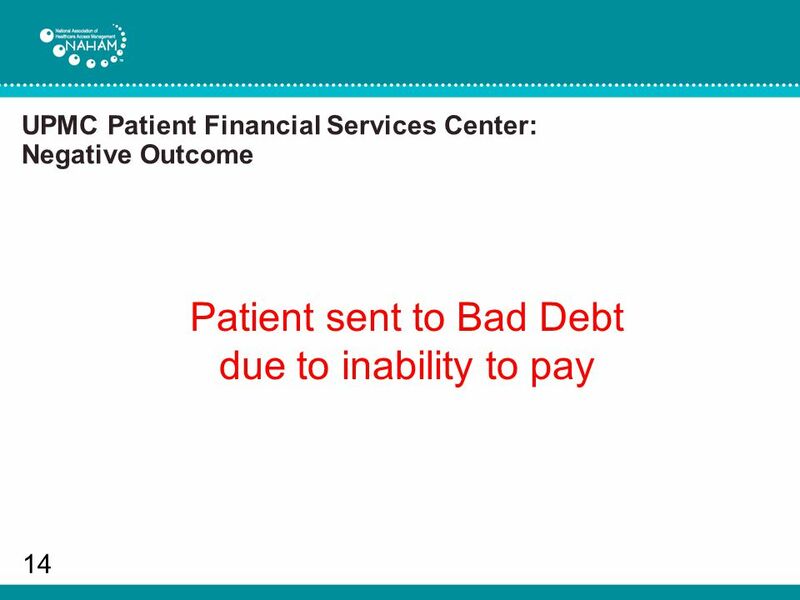 The Tattered Safety Net James G. Anderson, Ph.D. Purdue University. 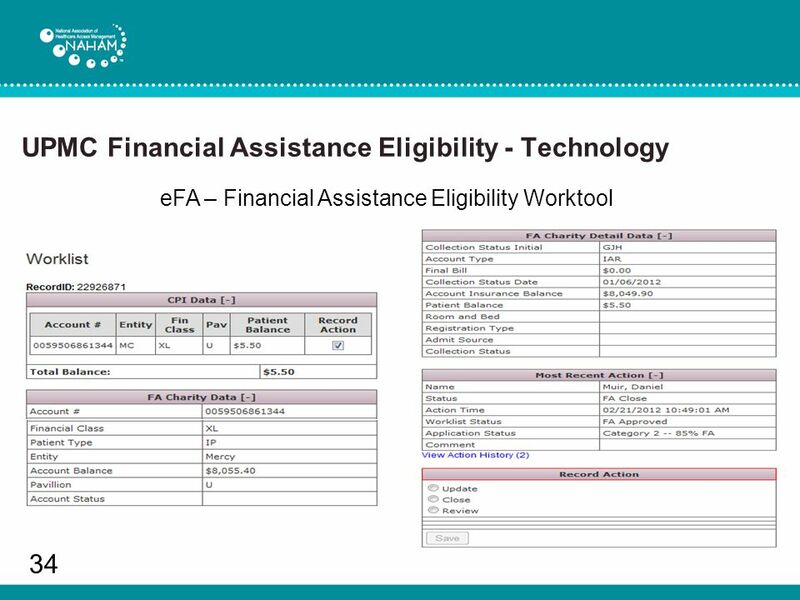 ACCESS & AUTHORIZATION. 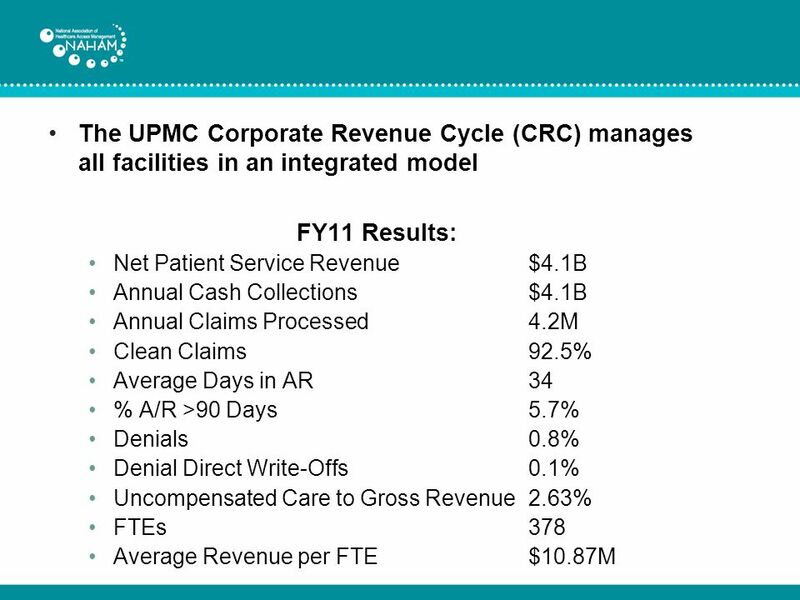 HOUSEKEEPING Food Restrooms Cell phones and calls Questions.